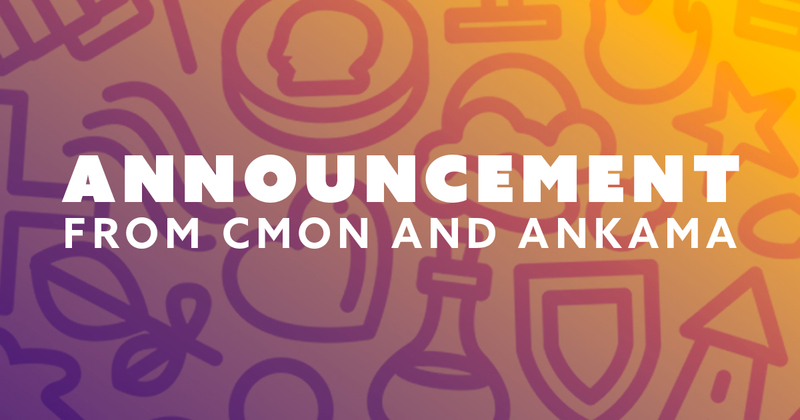 Today, Monday, May 22, CMON Limited and Ankama Products announced their USA distribution partnership has come to an end. The final product to be released under the current deal is Gang Rush: Breakout on June 23, 2017. CMON and Ankama originally entered into their partnership to deliver on the awaited release of Krosmaster: Quest and have gone on to distribute Krosmaster Arena 2.0, Kromaster Collection: Cemetery Park, 75 Gnom’ Street, and more. CMON will continue to sell their remaining stock of Ankama Products along with providing customer support for those titles while supplies last. Ankama Products fans can look forward to a forthcoming announcement on their new distribution partner soon.